Reinventing urban mobility and creating alternative, more environmentally friendly modes of transport are major undertakings. 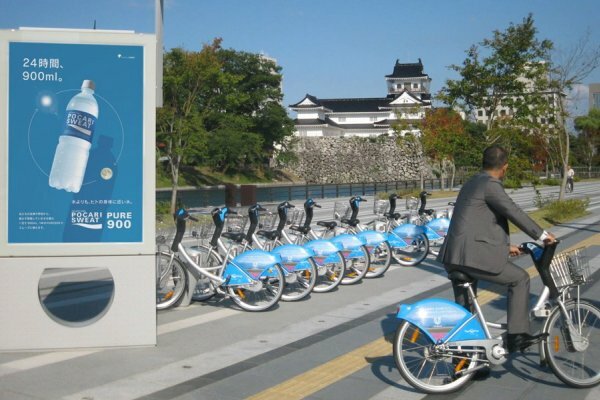 Through its innovative power, JCDecaux has become a leader in self-service bike rental scheme. Since 2003, JCDecaux has served cities and residents through Cyclocity, a multiple award-winning, comprehensive self-service bicycle scheme. It is a sustainable, easy-to-ease and complementary mobility solution that is in step with the expansion of multi-model transport. 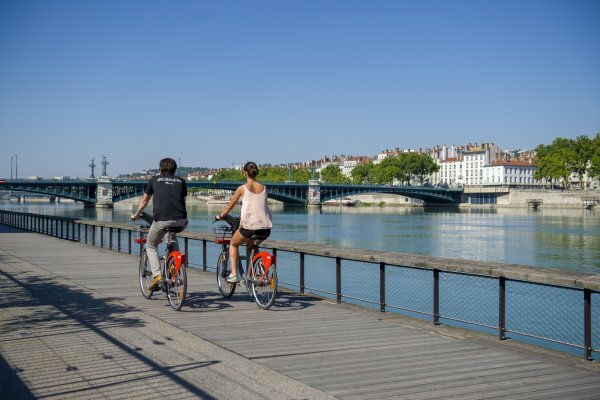 Cyclocity, a JCDecaux subsidiary that designs the self-service bicycles, is in charge of the installation, operation, upkeep, maintenance and regulation of the service. A mobile app, website and call centre are available to assist users. Cyclocity won the “Service Client de l’Année” (Customer Service of the Year) award for 2016 in the Individual Transport category. 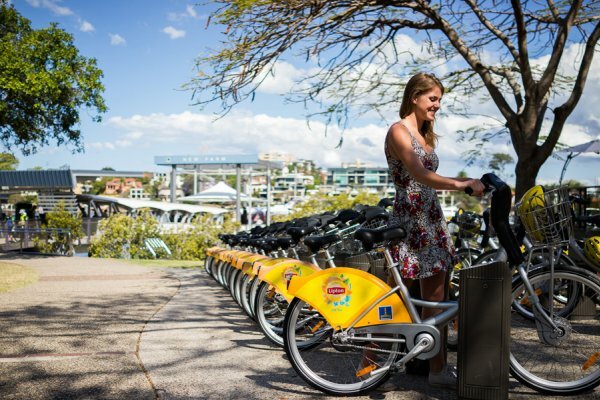 When launching a self-service bicycle hire scheme in a city, the network of stations is critically important. There must be a sufficient number of stations, and they should be located close to points of interest, like shops and offices, to attract the maximum number of users. Payment, subscription and customer service must be simple and accessible. Ideally, the scheme should integrate with the city's public transport system. Finally, the system should fit harmoniously into the cityscape, and the bicycles and stations should be well-built, reliable and well-maintained. Our engineers, designers and teams on the ground have developed unrivalled expertise in this domain. The self-service bicycles are fully in-house designed. Fifteen years of research and 37 patents have made Cyclocity a global benchmark, recognised with the “Janus de l’Industrie” certification by the Institut français du design (French Institute of Design) in 2006. With a durable design, state-of-the-art attachment system and stylish docking stations, innovation has been a feature of every detail of the self-service bicycle scheme ever since its launch, ensuring safety, ease of use and harmonious integration with the cityscape. Since then, JCDecaux has made regular enhancements to the scheme. 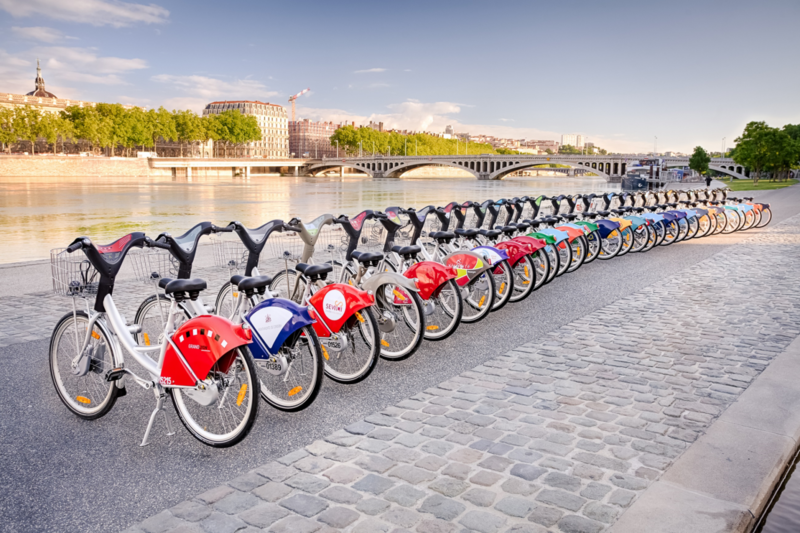 For example, users can now hire a bicycle using their public transport card, directly at the docking station, or check the availability of bicycles in real time using an app. 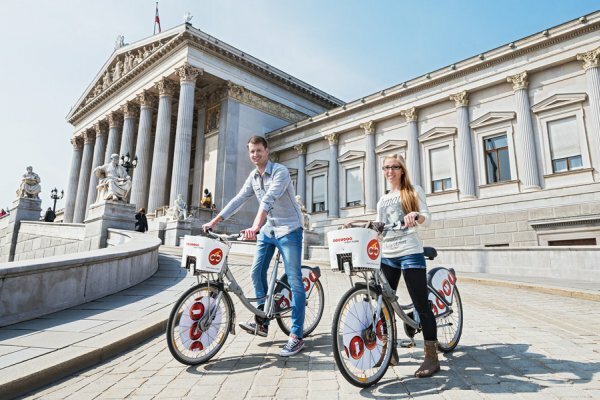 Recently, we designed an energy-autonomous station and e-VLS (the new self-service hybrid bicycle with portable, personal battery), ushering in the next generation of bike-sharing schemes. FOCUS e-VLS. The new hybrid bikes. 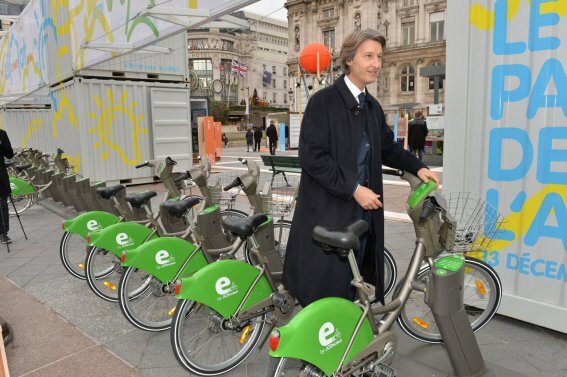 After three years of research, in 2015 JCDecaux launched the self-service hybrid bicycle with portable, personal battery. With this revolutionary system, each user keeps a portable, personal battery that they can charge at home or at work, simply inserting it into the bicycle for a more comfortable journey. Travelling autonomously up to approximately 10 kilometers, five LED displays on the battery indicate the charge level. A smartphone app using Bluetooth technology can provide a multitude of complementary services, like guidance, journey tracking, charge level, journey personalisation and more. Flexibility and versatility are at the heart of the design of e-VLS. The hybrid bicycles remain usable without the electric assistance from the battery, like a traditional self-service bicycle. For cities, the system is fully compatible with existing facilities, making innovation possible without the need for laborious construction.